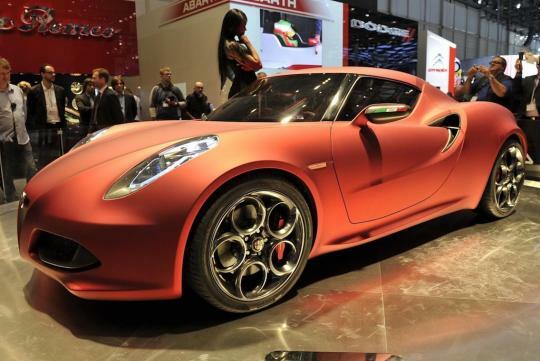 Alfa Romeo has raised consumer's expectations for its upcoming 4C coupe. 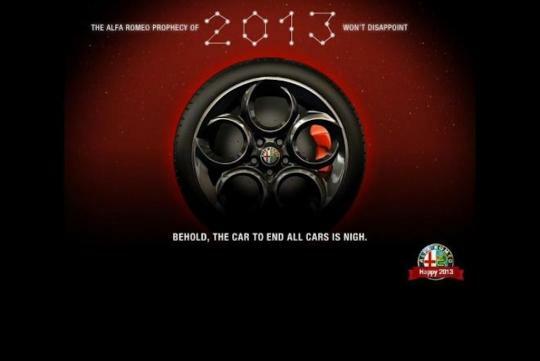 In the latest teaser for the mid-engined car, it states "BEHOLD, THE CAR TO END ALL CARS IS NIGH". 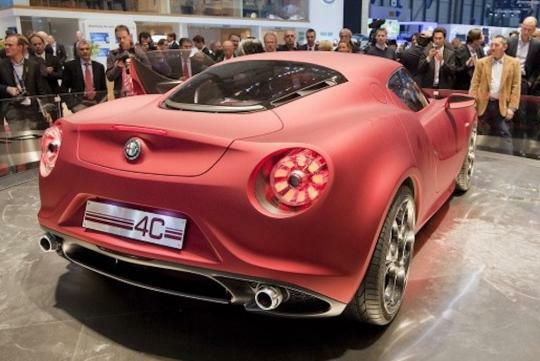 The new model is previewed by the 4C Concept that was presented at the 2011 Geneva Motor Show. The production version will derive its styling cues from the 4C concept and will likely be propelled by the 1750 TBi engine currently found in the Giulietta QV. The turbocharged lump produces 232bhp with 340Nm of torque. This is enough to send the Giulietta QV from zero to 100km/h in 6.8 seconds. In the sleeker and lighter 4C, the century sprint timing is expected to be much better. Power will be sent to the rear wheels via a dual-clutch transmission. The new 4C will be making its debut at the 2013 Detroit Motor Show. Often referred to as the successor to the 8C Competizione, let's hope that the new model can walk the talk.